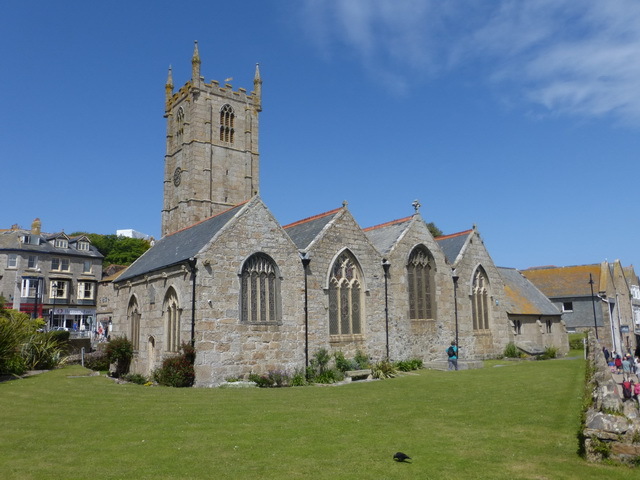 St Ia is a large and airy church set on a tight spot in the middle of the glorious town of St Ives. 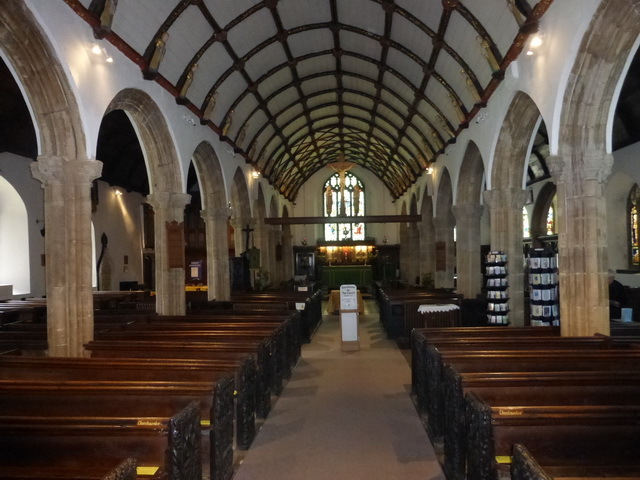 Seen from the seaward side, it is large with four east windows, the left hand one being the truncated aisle of the C15 Trenwith Chapel, now set aside for private prayer. Despite the smell of incense, the chancel is not hidden away behind a rood screen and only a 1932 rood beam breaks the line of the ceiling. The wagon roof has been given some charming carved figures which are painted in bright colours. The arcade is tall and constructed of a soft stone which allows a more vigorous and detailed carving than the usual Cornish granite. A variety of different architects – 1853 William White, 1866 F C Hingeston-Randolph, 1897-1905 E H Sedding – have had a go at amending and adjusting the church but thankfully none of them seems to have imposed their will on the whole and the sum of their efforts is pleasing. Outside are two fine crosses tucked away in a corner.